Aromatherapy /əˌrōməˈTHerəpē/ (n): The practice of using natural, essential oils extracted from flowers, bark, leaves, or other parts of a plant to enhance psychological and physical well-being. The inhaled aromas from these oils can be absorbed through the skin to stimulate brain function and promote whole-body healing. Anti-Erogenous fragrances are known to be clean, fresh and fruity scents. Stimulating fragrances are generally spicy and sharp, increasing sensitivity and arousal. Erogenous fragrances mimic and enhance natural body related odors to appeal to the senses. Narcotic fragrances enhance the power of attraction and elicit a sense of euphoria. The New Natural™ at Sonäge is our commitment to creating the safest, most environmental-friendly, natural, non-toxic and highly effective skincare products. 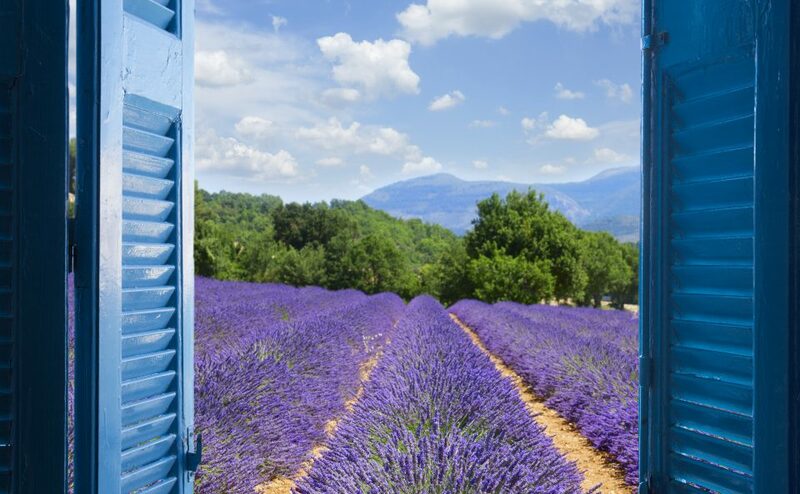 While we pride ourselves on our performance driven formulations to deliver healthy, natural looking skin, but a little known fact: the essential oils in our products double as amazing integrated therapeutic aromatherapy treatments. 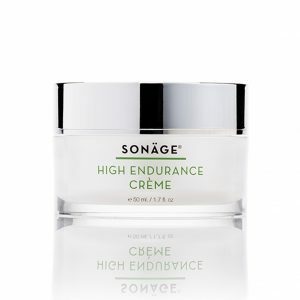 The aroma profile of every Sonäge product targets a specific skin concern, and also appeals to your senses and improves skin metabolism. Aromatherapy Benefits: Eases depression, reduces tension and stress by uplifting and producing a feeling of optimism, confidence and euphoria. Skin Benefits: Anti-aging, moisturizing, antiseptic, evens skin tone. It’s In: High Endurance Crème – A rich creme that promotes vital tissue repair and accelerates cell turnover. It calms redness and provides anti-wrinkle benefits to reveal a refreshed and youthful complexion. We recommend using it as a night moisturizer. Aromatherapy Benefits: Calming and sedative, relieves headaches and induces a restful sleep. Skin Benefits: Antibacterial, anti-inflammatory, redness relief, anti-aging. 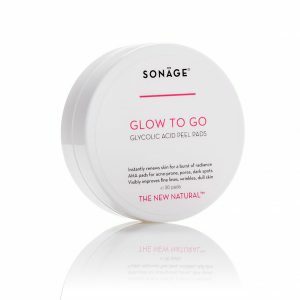 It’s In: Glow To Go – Glycolic acid peel pads that gently exfoliate to remove dead surface skin cells, control acne, oil secretion, hyperpigmentation and even skin tone. Aromatherapy Benefits: Mood enhancer, uplifting and useful in curbing stress and anxiety, alleviates headaches and fever, improves concentration. Skin Benefits: Antioxidant, rich in Vitamin C, enhances skin’s clarity skin tone. 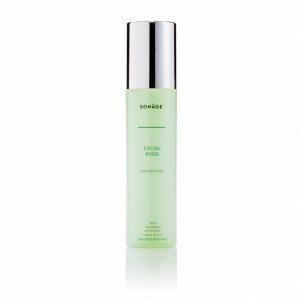 It’s In: Facial Rinse – a natural, alcohol free toner great for calming sensitive or acne prone skin. Over 15 botanicals work together to help establish the skin’s natural balance. Aromatherapy Benefits: Healing, stimulating, improves memory, focus and mental clarity. Skin Benefits: Antibacterial, anti-aging, promotes cell renewal. It’s In: Vitality Nourishing Facial Oil – our blend of 10 essential oils that leaves skin hydrated and glowing while relieving stress. Aromatherapy Benefits: Uplifting, useful in curbing stress and anxiety, promotes focus and feelings of vitality. It’s In: High Impact Vitamin C Serum – Our best seller that leaves the skin radiant, firm, fresh and even toned. It is specially formulated so that the Vitamin C deeply penetrates into the skin and continues absorbing hours after application. Aromatherapy Benefits: Stimulates the mind and relaxes the nervous system, addresses mental fatigue and depression. Skin Benefits: Anti-fungal, anti-bacterial, anti-oxidant, anti-septic, antioxidant. 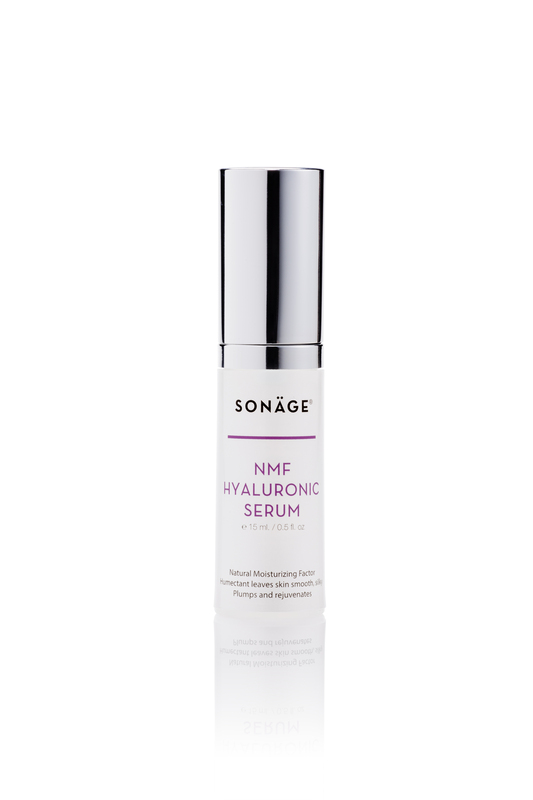 It’s In: NMF Hyaluronic Serum – Our most effective humectant that works by helping the skin retain natural moisture from the liquids we drink. Think of it as a “skin reservoir” for our cells. Some concerns have risen over essential oils and the cautions of overusing them. Essential oils are highly concentrated and it is best when using them in skincare, to use them in a diluted form, which we ensure with The New Natural™. While we utilize over 20 essential oils among Sonäge products, the essential oils above are those most known most for their aromatherapy benefits. It’s important to learn which essential oils work best for your needs, to appeal to your senses and to your skin.